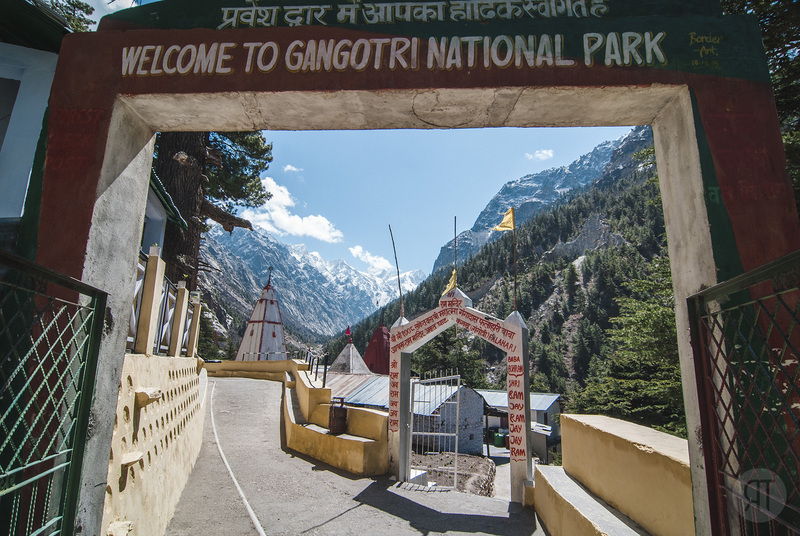 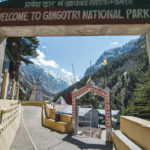 Gomukh, which literally means „Mouth of a Cow“, is 18 km from Gangotri (a Hindu pilgrim town) in the foot hills of Bhagirathi at a height of 4255m. 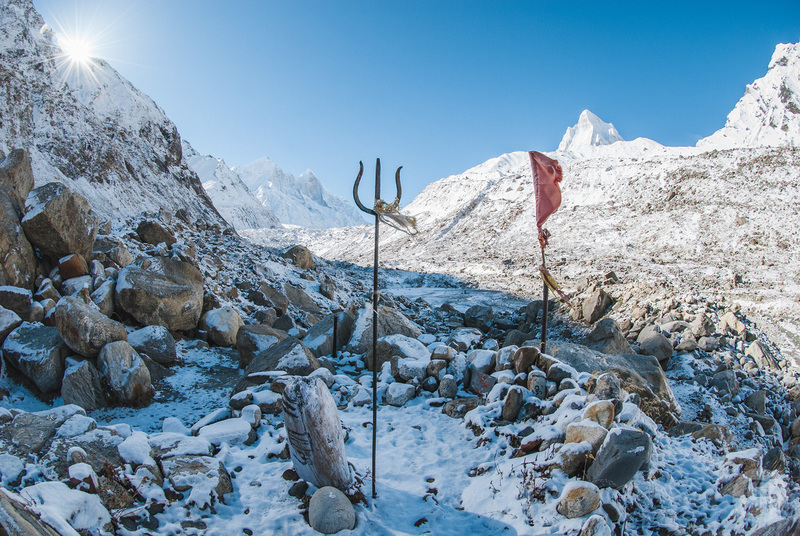 It is the terminus of the Gangotri Glacier and origin of Holy River Ganges. 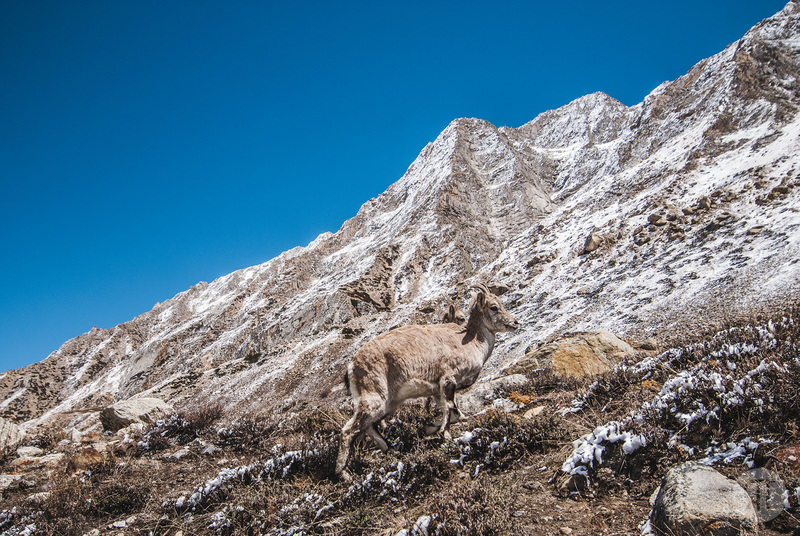 Here the Bharals, a type of mountain antelope are sometimes seen, they are found above the altitude of 3000m. 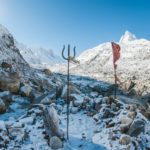 According to popular Hindu legend, it was here that Goddess Ganga descended when Lord Shiva released the mighty river from the locks of his hair. 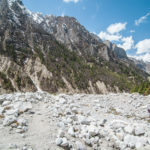 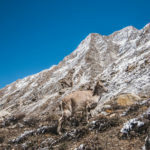 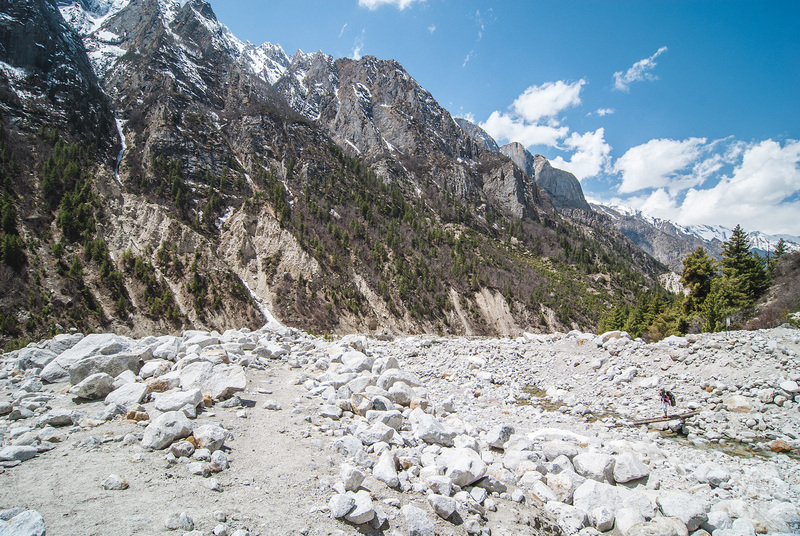 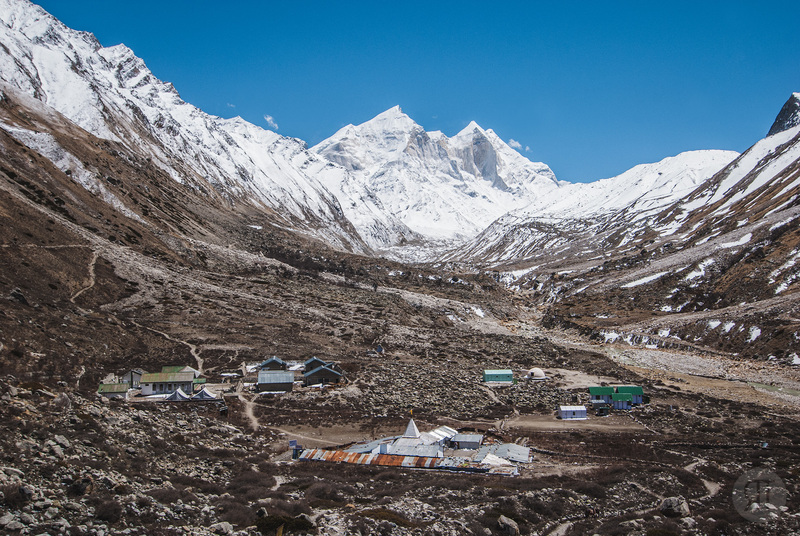 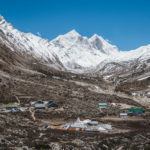 While the Himalayan Gangotri glacier has been retreating since measurements began in 1842, the rate of retreat has meanwile almost doubled to 36 m per year. 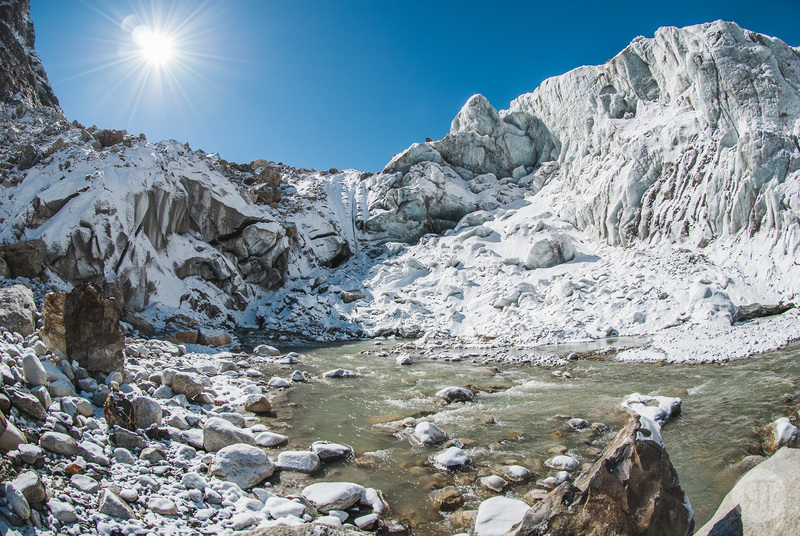 Gangotri Glacier is 29 kilometres long, and two to six kilometres wide, and sweeps like a gigantic river through the heart of the mountains. 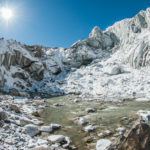 In the coming years there is a high likelihood that water shortages will ensue due to global warming and thus rapid melting of these glacier, the longest in the Central Himalayas. 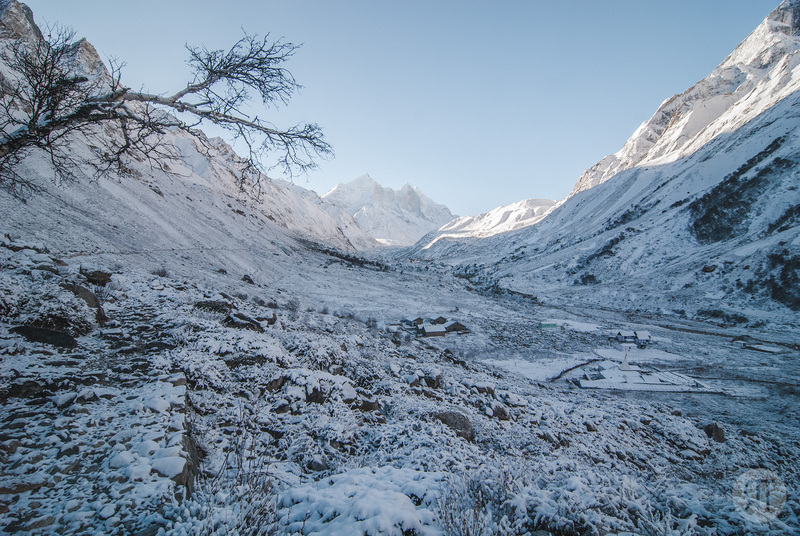 All Himalayan glaciers are rapidly retreating, with a gradual increase in droughts, flash floods, and landslides. 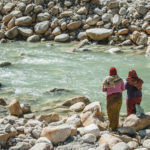 A population equal to Europe lives in the Ganges basin. 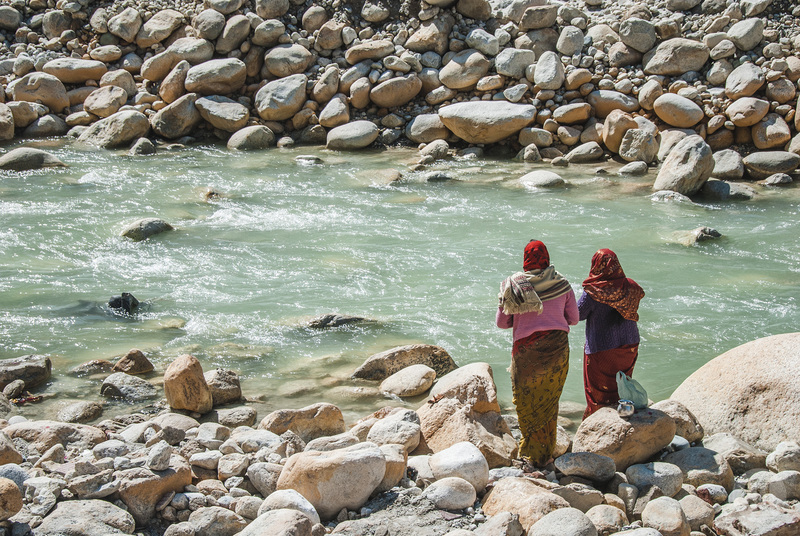 Their livelihoods are dependent on the river… This is a tragedy is in the making.